Imagine a Saturday afternoon, shopping and hanging out with friends in downtown Westfield on a sunny day. You stop by a store and pick up a warm, delicious treat: cinnamon rolls. You bite into the pillowy soft and delightfully spiced cinnamon rolls as frosting drips down your fingers. But these aren’t your typical cinnamon rolls. Welcome to Cinnaholic, a gourmet cinnamon roll bakery that is expected to open at the end of April at 18 Elm Street right here in Westfield. Customers are encouraged to personalize their cinnamon rolls to their favorite flavor combinations. To coat their rolls are 18 mouthwatering frosting options ranging from a classic maple to more unconventional flavors like cake batter and banana cream. The “Old Skool Roll”– a cinnamon roll with vanilla frosting–is typically 480-500 calories, which is about half the calories of a Cinnabon classic roll. For special occasions, Cinnaholic caters cinnacakes, which are 6-12 rolls baked together and glazed in your chosen frosting. Cinnaholic also offers mini cinnamon rolls, along with other treats like brownies, cookies and cookie dough. 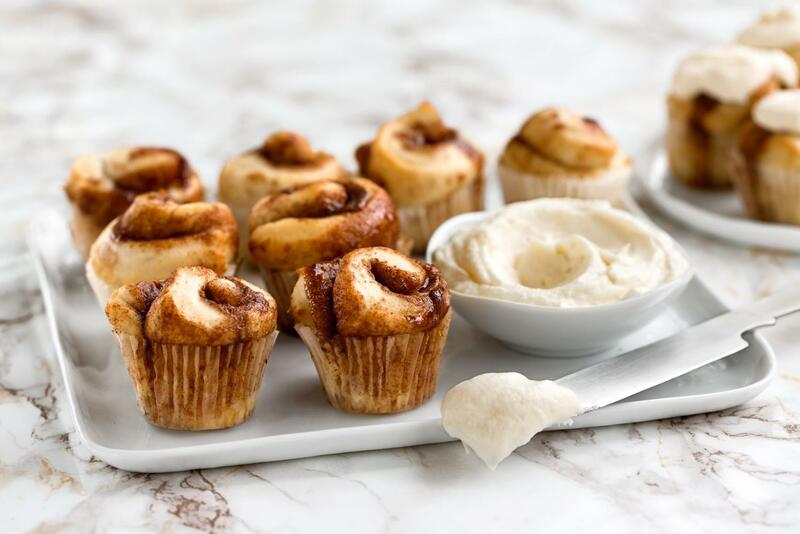 The “old skool” cinnamon rolls are priced at $5.25, and customers can upgrade to premium frosting flavors for an additional $0.25 and $0.50 per topping. The mini cinnamon rolls are $1.25 and require a minimum purchase order of 12 of the same flavor. The cinnacakes range from $40-$60 depending on the size. Cinnaholic has long been praised by media outlets like The Huffington Post and Fortune. In 2014, the company was on the ABC show “Shark Tank”–where the investors devoured the cinnamon rolls–and the creators accepted a deal with Robert Herjavec with the focus on nationwide shipping. However, Cinnaholic later declined his offer to concentrate on expanding storefronts. Nonetheless, Cinnaholic was featured as one of Forbes’ “10 Best Franchises to Buy from ‘Shark Tank’” in 2018.